On June 17, 2014, President Obama announced a massive expansion of the Pacific Remote Islands marine sanctuary to protect the rich ecological areas adjacent to seven Pacific islands and atolls. Obama used his executive authority, based on the Antiquities Act of 1906, to cover protection of nearly 782,000 square miles in the Pacific from overfishing, marine pollution, and other depredations. This smart but bound-to-be controversial move vastly enlarges the core area of 87,000 square miles designated by his predecessor five years ago. 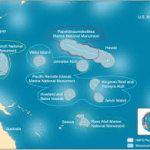 In early 2009 President George W. Bush established the Pacific Remote Islands Marine National Monument to protect the waters surrounding Wake Island, Johnston and Palmyra atolls, Kingman Reef, and Jarvis, Baker and Howland Islands. The Secretary of the Interior delegated monument management to the U. S. Fish and Wildlife Service and protection extends fifty nautical miles from the mean low water lines of the islands and atolls. The new expansion, expected to become effective later this year after a public comment period, will stretch offshore protection to two hundred nautical miles. The United States controls over 13 percent of the ocean area overseen by nations, and the Obama Administration has taken a major step in guaranteeing the preservation of a pristine and biologically diverse ecosystem on our planet. The Wake Island unit is the only populated land form in the group, with around one hundred contractors and military personnel maintaining the airfield and support facilities. I became acquainted with Johnston and Palmyra atolls during my research for Building for War: they were the first of the remote Pacific islands targeted by the navy for prewar air base construction, covered in the same CPNAB contracts that included Midway and Wake Island. Today only Wake retains a functional use, managed by the Department of the Air Force under a 1972 agreement between the Department of the Interior and Department of Defense. The Wake Unit is managed as a National Wildlife Refuge to twelve nautical miles offshore. The National Oceanic and Atmospheric Administration (NOAA) manages fishery-related activities from twelve to fifty miles offshore. Wake was also designated a National Historic Landmark in 1985 to protect and preserve structures and artifacts dating to WWII. 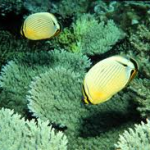 According to Fish and Wildlife one hundred species of corals have been identified on the vibrant coral reef of Wake, as well as 323 recorded fish species and additional marine mammals, including several species designated as globally endangered or depleted. Wake is also the protected habitat of twelve species of nesting seabirds and six of migratory shorebirds. Commercial fishing was prohibited to fifty miles off each of the protected islands and atolls by the 2009 national monument designation, though President Bush exempted sport fishing. I was a beneficiary of that exemption on my trip to Wake Island in 2011: while I was happily diving on the reef one afternoon, others took a boat out fishing, and we all enjoyed eating their catch that evening. Whether President Obama will extend the sport fishing exemption is unknown, though practically speaking Wake is the only place where it would matter. Expansion of the commercial fishing ban to the two-hundred mile zones will likely be opposed by the U. S. tuna fleet in the central Pacific. Some congressional Republicans immediately raised objections to the expansion of the marine sanctuary for another reason: Obama’s executive action smacked of “imperial” overreaching. Opponents include the House National Resources Committee chair, Doc Hastings (R-Wash), who argues that such a decision should go through Congress (though Republican President Bush used the same 1906 Antiquities Act to justify his executive action establishing the marine national monument late in his second term). Considering the congressional track record of the last few years, hell might well freeze over before the expansion passed through Congress. As recent actions in the South China Sea demonstrate, borders and boundaries are not easily defined in the oceans. Two months ago, when China positioned a huge drilling platform off the Paracel Islands in waters Vietnam claimed as its “exclusive economic zone,” the action provoked vessel confrontations, anti-Chinese rioting in Vietnam, and rounds of high level talks that still have not resolved the issue. Last week China dispatched four more oil rigs to explore for oil and gas in the South China Sea where it claims “inherent and historic” rights, though Vietnam, Taiwan, the Philippines, Malaysia, and Brunei can all raise competing claims. 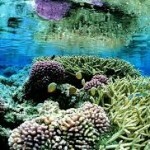 Given the increasingly aggressive claims to fishing and mineral rights and energy exploration in the world’s seas, and the vulnerability of the oceans to overfishing, pollution, warming, and acidification, President Obama’s expansion of our Pacific marine sanctuary is bold, timely, and welcome.